New England Patriots: The Greatest Ever. The complete chronicle of New England's unique 2016-2017 journey to their historic fifth world championship; with a foreword from James White and an introduction from Bob Socci. 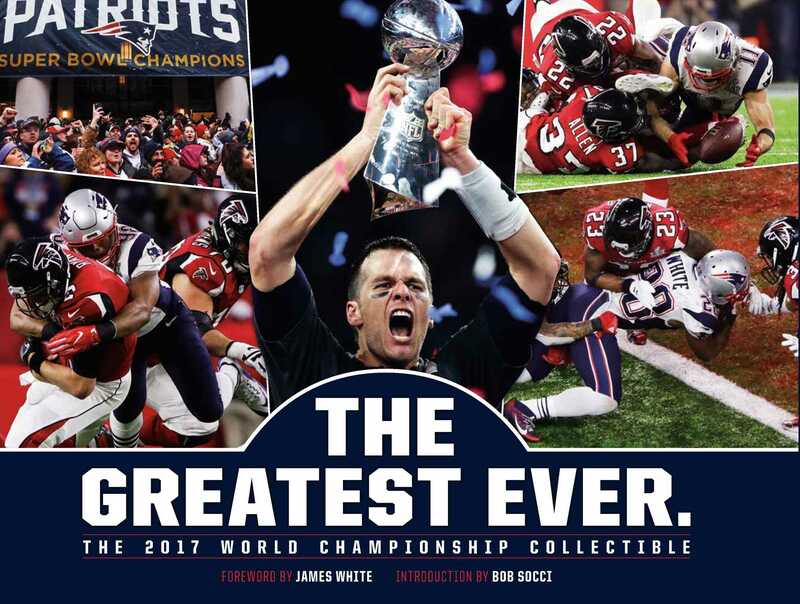 Amazing images from every regular-season game, playoff game, the Super Bowl, and the hometown Championship Parade and Rally make this the definitive keepsake for New England Patriots fans to savor! The perfect gift and the ultimate keepsake for Patriots fans everywhere, this exclusive commemorative coffee table book is the definitive photographic chronicle and celebration of New England’s historic season and Super Bowl. Book Cover Image (jpg): New England Patriots: The Greatest Ever.